Eleanor Ivy Hatch was born Feb. 14, 2017 at Banner Ironwood Medical Center in San Tan Valley, weighing 7 pounds, 9 ounces and measuring 19.5 inches long. 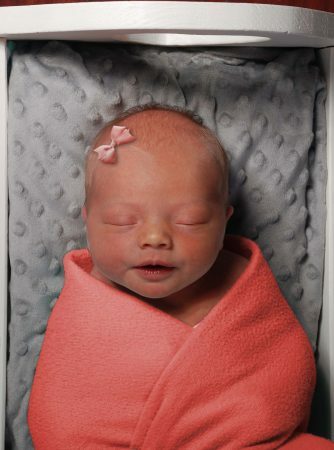 She was a welcome Valentine’s Day present for her very happy parents, Amanda and Darrin Hatch, and big sister, Hazel. Grandparents are Brenda and Bobby Armenta of Kearny, Christine Hatch of San Tan Valley and Brice Hatch of Ogden, Utah.